Lemon trees flourish in San Diego. In fact, they abound in Rancho Santa Fe and other more rural areas. But many homes in San Diego also have their own lemon trees growing in a backyard corner–making for a perfect hot lemon water beverage. Lemons seem to flourish year round in San Diego, and I am sometimes gifted with a bagful of this aromatic fruit by thoughtful friends, real estate clients and neighbors. My deepest gratitude to these lovely donors! I also have a lemon tree in our side yard, but when the gardner planted it years ago, he either jokingly or inadvertently planted a sweet lemon tree that produces pretty tasteless fruit–at least for my tastes. 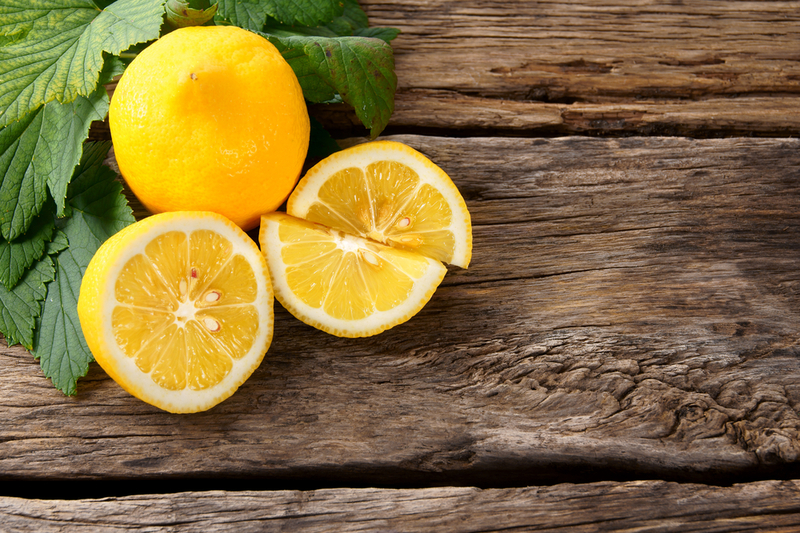 I use lemons mixed with healthy oils for salad dressings, and go through long periods when I give up coffee and instead drink hot lemon water in the mornings. I enjoy the taste, but also know it is an alkaline food that starts my day off right and helps keep my body in alkaline balance. But did you know that hot lemon water might also help with wrinkles? I did not.